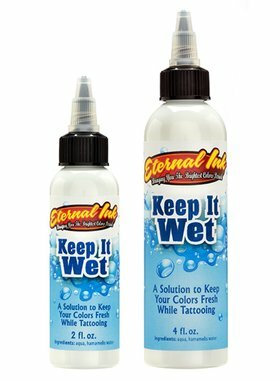 Upon request of many tattoo artists, we finally created a balanced mixing solution for gray shading. The shading solution is consistent of a perfectly balanced blend between witch hazel, glycerine and distilled water. It is blended so those three elements can separate and avoid the inconsistency of gray shading. 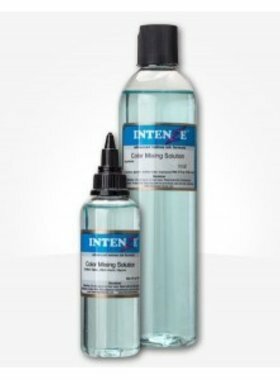 Special Shading Solution works especially well with all INTENZE Products' black pigments and any other black pigment in the market. NOTE: Use this solution only to dilute black pigments. 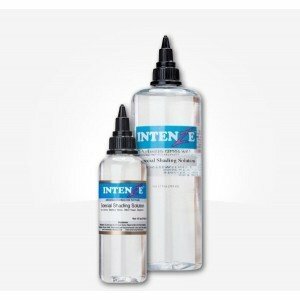 Panthera Crystal Shading Solution 150ml.